In order to keep up the high-standards, we ensure from the very beginning that the raw materials used are as per the international standards. By this, we are capable of delivering the finest array of products. To ensure distribution of orders within undertook period, our organization has an outstanding supply chain system in place. Common name : chicory, radicchio, succory, witloof cichorium intybus scientific name chicory is used for loss of appetite, upset stomach, constipation, liver and gallbladder disorders, cancer, and rapid heartbeat. It is also used as a tonic to increase urine production, to protect the liver, and to balance the stimulant effect of coffee. 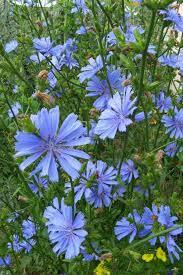 Some people apply a paste of chicory leaves directly to the skin for swelling and inflammation.